The Acquisition Games website is derived from my long desire to promote and enhance the Sid Sackson game of ACQUIRE. 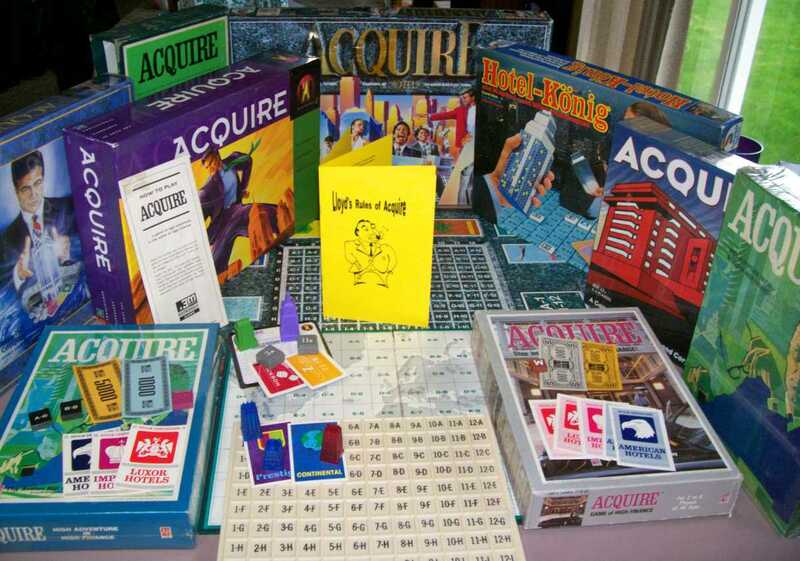 I played my first game of ACQUIRE in 1979. I thought the game was skewed towards one player as I sat through the whole game with no money and no general input into the outcome of the game. I liked the overall concept of the game of ACQUIRE but I thought it could offer so much more. I formulated some rule changes to help bring the game back into the reality of corporate America and to help the game become “new player friendly.” I figured that the more friends I could attract to the game, the more times I could play. The changes also helped to make the game undecided until the final count of money. That aspect allowed every player to stay involved in the game until the end. I developed a lot of other ideas for the game of ACQUIRE but decided to keep them to myself for many years. In 2006, my older sister convinced me to make my rules available to everybody. That began a journey that has brought me to this website. For ten years I have surrounded my life with advancing the game of ACQUIRE. The Acquisition Games Website offers my ideas and research to anyone who is interested. I find far too many 40 to 50 year old ACQUIRE games that are never played. The goal of this website is to add something to the experience of playing the game of ACQUIRE so to hopefully get these games played many times. The goal is also to attract as many people to this fantastic game as possible and to help it fulfill its rightful position as the best board game ever. The hope is that you would share this website with others to help them find the true enjoyment of the game of ACQUIRE. This website will also allow you to fix your vintage ACQUIRE game if it is missing pieces. Though these games have been long forgotten by the corporate giants who created them, you can still fix your game on the Acquisition Games website which will allow you to enjoy playing it for years to come. We also offer enhancements for the game of ACQUIRE, Including Lloyd’s Rules of ACQUIRE, which will allow you to expand your experience with the game. 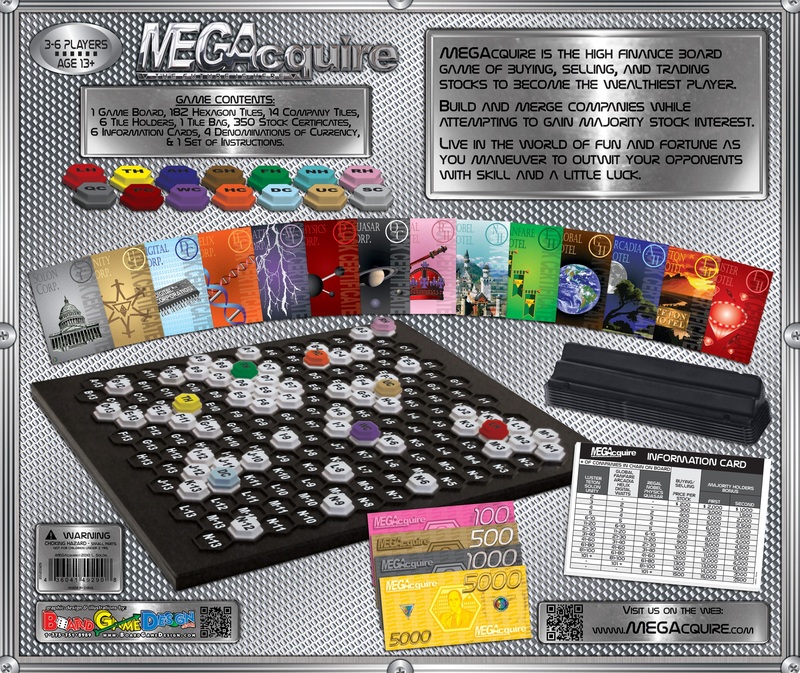 I created an expansion of ACQUIRE in 2012 in the form of MEGAcquire. I was only able to produce 500 games but that at least allowed many thousands of people to enjoy the experience of a larger and enhanced version of ACQUIRE. The Hasbro Corp. asked me to change the name so I tried to produce the game twice again under the name of MEGAcquisitions but was unsuccessful. I have since decided to downsize my game and call it Acquisitions. I have begun the process to develop a new overall theme to the game. It has become time to move away from the Hotel/Corporation theme. There will be an interestingly reconfigured board with 120 hexagon spaces and I have also added a twist to the strategy of acquiring holdings in the entities on the board. The ideas have been sent to my game designer and I will post updates to the website as they become available. I appreciate your interest in the Acquisition Games website and I hope it will be helpful.